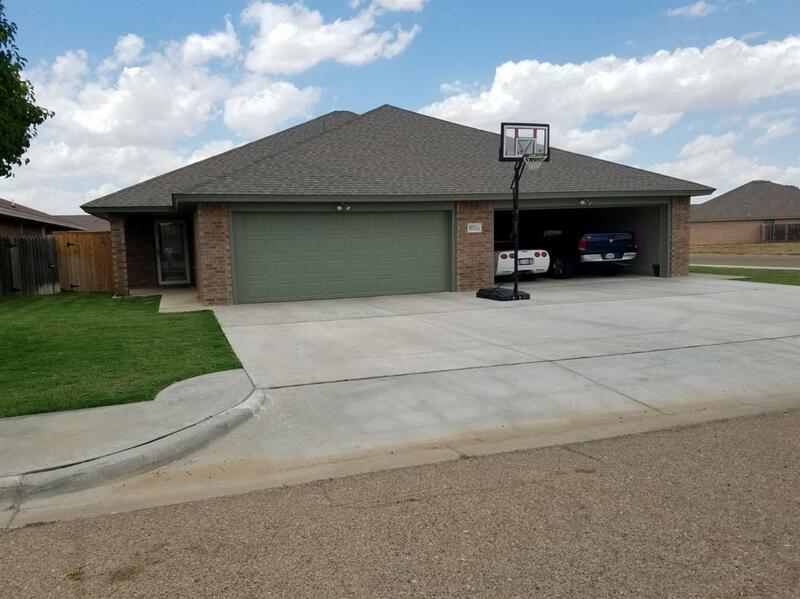 Immaculate duplex in NW Lubbock, just off N. Frankford and close to Texas Tech, LCU, Medical District & Shopping. Completed in 2017 each side is 3 bedrooms, 2 bathrooms with a 2 car garage. The fabulous kitchen is open to the dinning room and great room. The kitchen comes with full appliance package, wood stained cabinets and granite counter-tops. There is wood look vinyl plank flooring throughout the home except bedrooms which are carpeted. Spacious laundry room with cabinets. Each bedroom has a walkin closet. Bedroom 2 & 3 share a jack and jill bath. Lovely white cabinets with granite countertops in all bathrooms. There is an incredible amount of storage in these duplexes for the square footage. Extra concrete slab in the patio for a pergola, hot tub, table and umbrella or whatever fancies you! Great fence with steel posts. Side A also has custom paint colors and crown molding in the great room. Live in side A and rent Side B or incredible find for an investor. Listing provided courtesy of Joe Ruiz of Lyons Realty. Listing information © 2019 Lubbock Association of REALTORS® MLS.